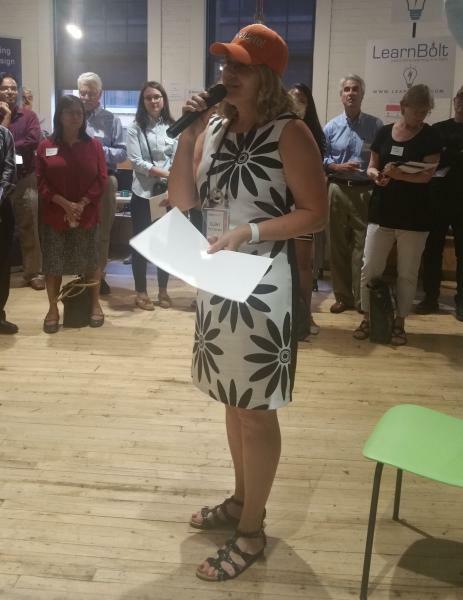 On July 27th, Choosito participated in the LearnLaunch Summer EdTech Showcase, held in the LearnLaunch offices in Boston. As a member of the LearnLaunch 2017 Boost Cohort, Choosito pitched their updated products and strategy to other members of the edtech community. Choosito also demonstrated its student search engine, received valuable feedback, and networked with innovators and LearnLaunch mentors. Choosito is honored to have learned that our product was deemed exceptional by our peers. VentureFizz, a website covering the fastest growing companies on the Boston tech scene, named Choosito a standout company! Choosito is very proud to have reached this milestone and is excited to keep working hard to help teachers and students around the world search more efficiently. Keep an eye out for Choosito’s presentation at the LearnLaunch Demo Day on September 25th.